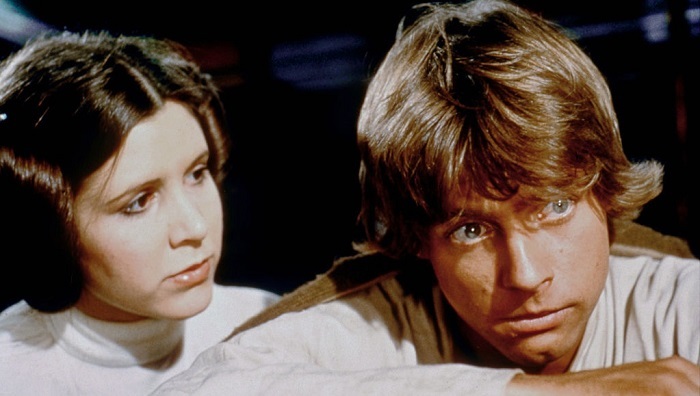 Forever Luke and Leia, Mark Hamill and Carrie Fisher had a special friendship, and Hamill had fans tearing up with a moving tweet after news of Carrie Fisher's new role broke out. The Star Wars franchise, which began way back in the 70's, sent moviegoers to watch the incredible movie that was like nothing ever seen before. Two of its leading actors - Mark Hamill and Carrie Fisher have had a cult following since they were Luke and Leia, and they were discovered by new fans in every decade since. The two co-starred in the first episode of the Star Wars sequel trilogy – The Force Awakens in 2015 and were set to play in the following two films. Unfortunately, the first Princess Leia died unexpectedly in 2016, leaving fans and the Star Wars cast heartbroken. This Friday it was announced that Carrie Fisher will receive a posthumous role in Episode IX of the sequel trilogy. Fans were delighted about the news, but one of Carrie's biggest fans, her on-screen brother, and off-screen friend was the happiest. Mark Hamill expressed his joy over the fact the princess Leia won't be replaced, and that Carrie will be able to complete her most famous role. 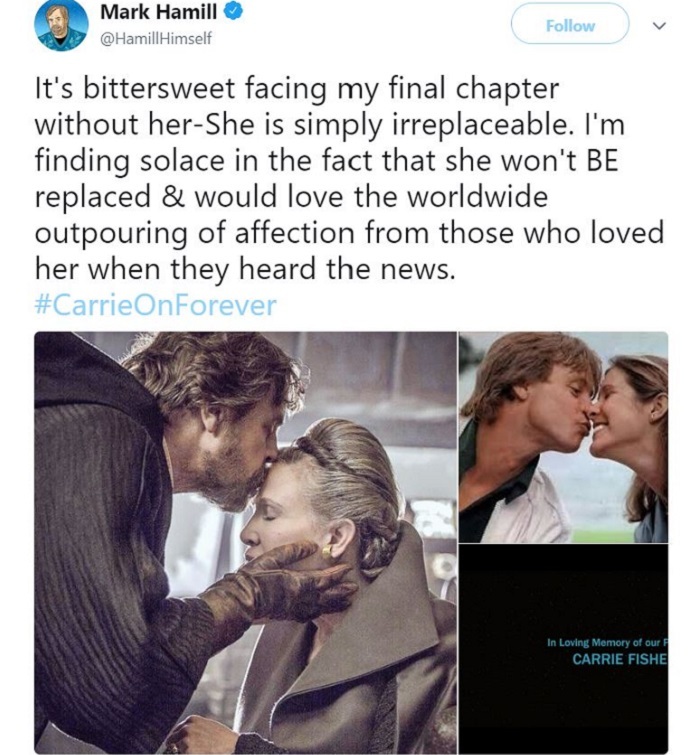 In a moving tweet, Hamill wrote " It's bittersweet facing my final chapter without her-She is simply irreplaceable. I'm finding solace in the fact that she won't BE replaced & would love the worldwide outpouring of affection from those who loved her when they heard the news.#CarrieOnForever," and we could not agree more.